Paris based Awdio will announce today a first round table of 1.5 million euros (about 2 million dollars) closed with Ventech. 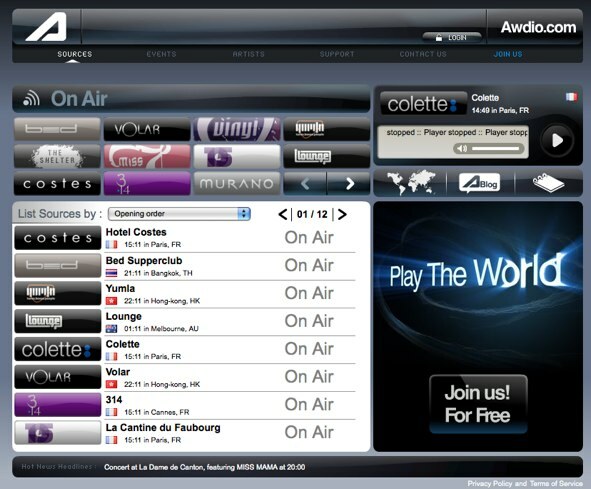 Awdio offers a unique music service that connects the best clubs around the world to the internet and allow them to broadcast live their music online. When we first covered Awdio they were planning a per subscription service but the company is now moving to a new model where live access to music will be free and potentially monetized via advertising. The company will progressively release premium services like access to recorded live sessions (one of my personal requests) which could be great if they could be included in iTunes and other music stores (without DRM of course). Their business model is built on revenue sharing with the clubs they partnered with. Although the company does not show up yet on Google trends, Gilles Babinet (a board member and previous founder of Musiwave sold to Microsoft) tells me the service is very sticky. When we first mentionned them they had 50 clubs signed in and brought another 50 broadcasting totally a thousand shows. A big chunk of the music business is driven by what the hypest clubs and DJs are broadcasting. In some cases some clubs even created their own label and music series (you may be familiar with the Costes or Buddah Bar). Awdio is surfing on that trend and makes this available to everyone, everywhere. The content is pretty unique and could find its place among club music lovers.